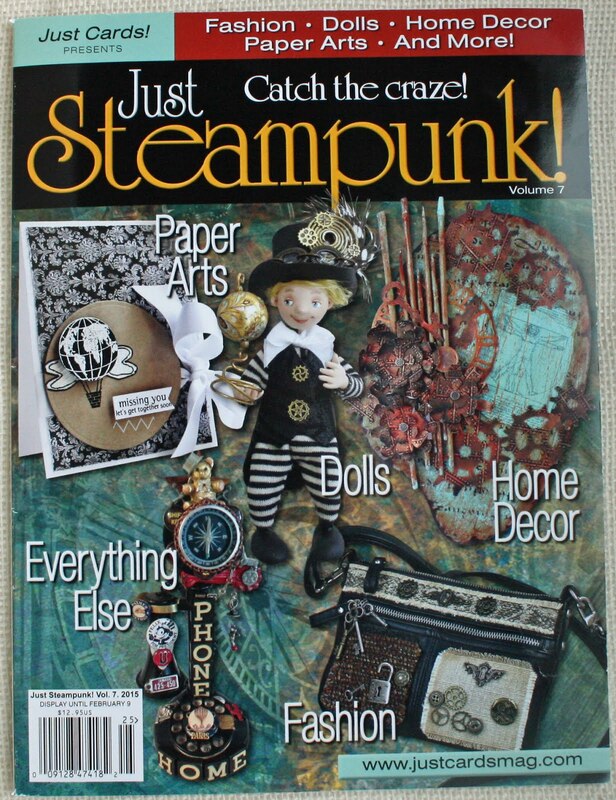 Old Enough 2 Be A Kid: EUREKA & QKR Stampede Blog Hop Day 2!! It is day 2 of our amazing gift idea BLOG HOP!!! Today Our sister site with all her Amazing Design Team have come up with even more idea's to help you with your holiday overload!! as you will not want to miss a chance at all the prizes we are giving away! I am totally stoked that I get to join in the fun! 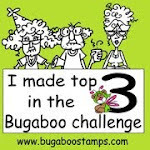 Don't forget to leave comments along the way as there will be a prize from every blog along the hop who will each be choosing a winner from the comments left on their hop posts! These winners will each win a 2 digital image of their choice. Visit us all for your chance to WIN!!! 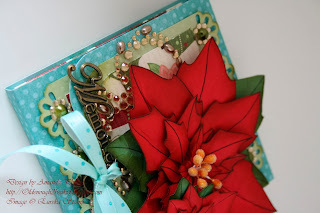 Amanda, this is fabulous, I love the poinsettia images and this tuned out great. 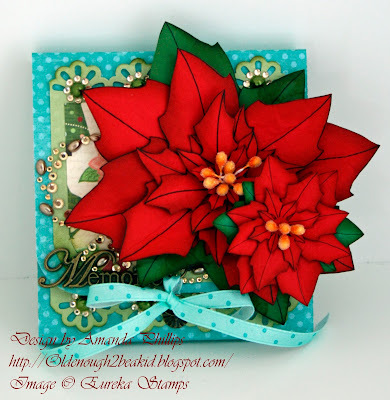 WOW, I love the poinsetia and the master piece you did with it!!! Amanda, I have one word: AMAZING!!!!!!!!!!! Absolut stunning creation, and fab idea for a gift. 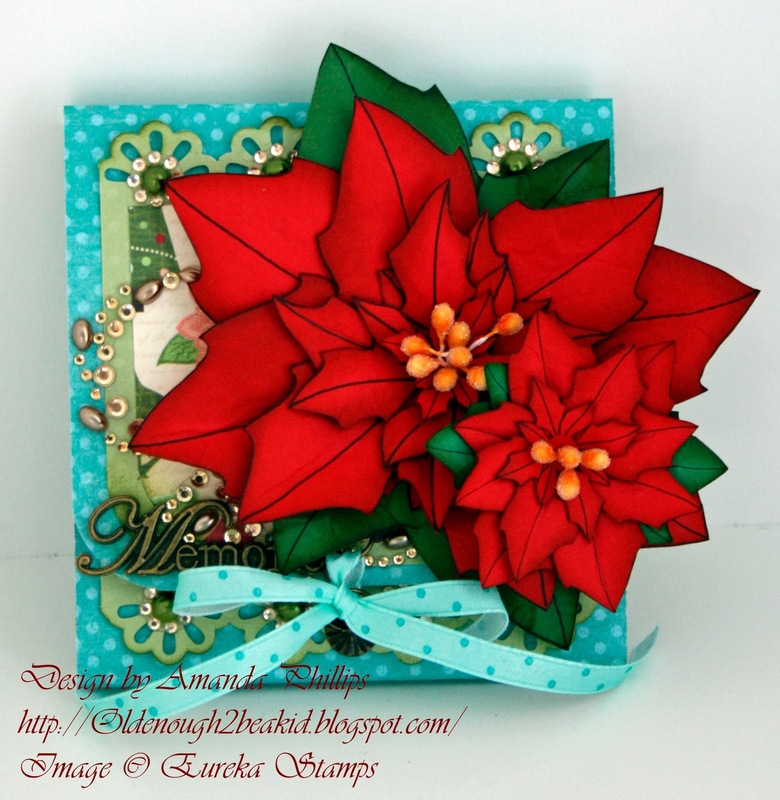 This is gorgeous...the poinsettia's are colored beautifully! Absolutely gorgeous, i love the poinsetia!!! Gorgeous!!!! What more can I say, absolutely gorgeous! TFS. Oh, this is such a gorgeous Christmas card. Landed from Zella's! 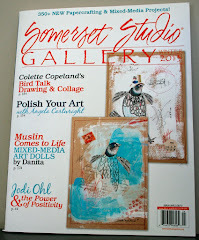 This blog hop is a nice way to learn about each and every of you DT's. Thanks! That is awesome, I love that little book. I love how you colored the flower and then I was further amazed to see the card open up to reveal even more gorgeous paper! Thanks for sharing! This is absolutely beautiful. I love your coloring.